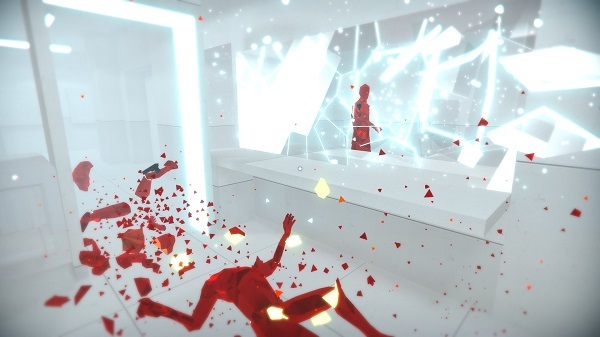 After you finish Superhot you unlock an endless mode that is accompanied by a variety of modifiers such as playing in real-time, without everything slowed down, killing as many red enemies in 60 seconds, or vanquishing everyone using only a sword, and so on and so forth. The endless mode is riddled with survival elements as enemies are spawned in waves. However, amazing game mechanics and though-through level design and art-direction is where the game really shines. Your enemies are glowing red polygons of fury, and they stick out like a sour thumb. The background is comprised of a white and grey colour palette, and weapons such as pool balls, bottles, swords, guns and etc. are displayed in black. It conveys a dramatic look, more so as your red enemies shatter into pieces when killed. Moving to the game menu within the game menu, you’ll notice that the ASCII terminal resembles a sort-of weird, incipient bygone era of gaming. Wait, that’s the ’90s, but with a lot more cyberpunk elements. After you complete a level, your session will be played back in real-time, and you can use basic editing tools to save the clip in a GIF format. Your animated kill footage can be uploaded to the official Killstagram website – an online service especially made for the game, where players can post their gruesome and ingenious ways of murdering red polygon fiends. I don’t know what else to call them besides fiends. Super Hot game is really really great, but you’ll finish the main levels in just a few hours – it took us no more than four, but we were also screwing around. The variety of modes really adds to its replayability, and I, for one, am itching to get back to my red polygon friends fiends, but paying $20 plus on a concept game doesn’t sound so appealing to many gamers – take to any publication’s forums, or comments section to see how the majority is very reticent on paying almost half the amount of a triple A game for this one. 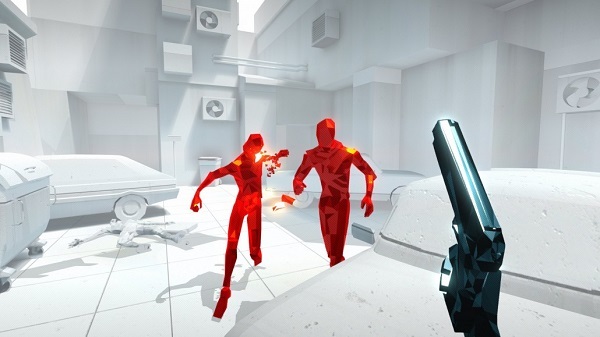 The GameGuideWorld crew recommends it and we can’t wait for more games from the Superhot team. As a female gamer many of her friends didn’t take her seriously, but she is here to prove them wrong. Passionate about tools and technologies that make games more appealing, she is excited about the physicality of Wii games. Gaming and blogging are the core parts of her day-to-day life but she still finds time to be active and do sports. Jennifer is into aerobics and Yoga, but she also enjoys Tae Bo and swimming. No wonder she prefers games that keeps her fit. She hopes her posts will bring together like-minded gamers, so don’t hesitate to share your thoughts and ideas by simply leaving a comment.